In art and design, everything old is new again. Gateleg tables have been around since the 16th century, but their functionality just works so well with today's space-strapped homes. 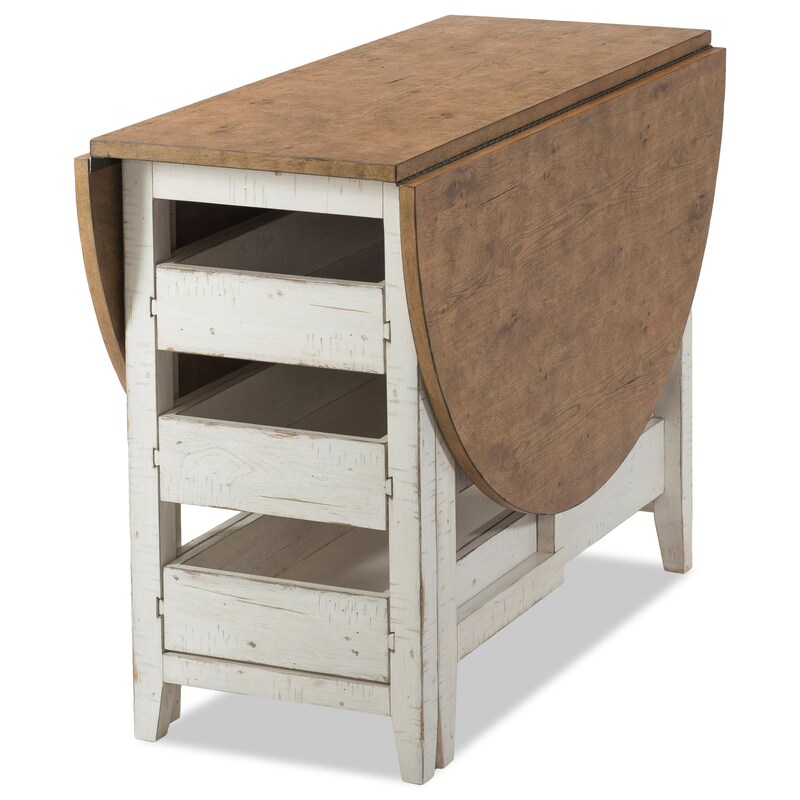 This cleverly designed gateleg table maximizes space in the kitchen or dining space with two, drop-front table leaves and three pull-through storage drawers. The open drawers are handy because they can function as wine bottle storage or an accessible place to store dishes, glasses, and table linens. The Coming Home Neighbors Gate Leg Dining Table with Drop-Front Table Leaves and Pull-Through Storage Drawers by Trisha Yearwood Home Collection by Klaussner at Sam Levitz Furniture in the Tucson, Oro Valley, Marana, Vail, and Green Valley, AZ area. Product availability may vary. Contact us for the most current availability on this product.